· Two Size Choices of photos display : 6x8 with white mat, or 8x10 without mat. 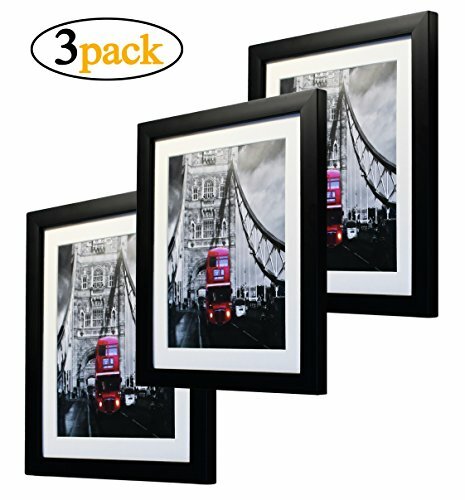 · A Perfect Gift for Home or office: put your favorite or precious artwork and memories with the family, classmates, colleagues, friends and lover on the classic black picture photo frame to enjoy them for years to come in home or office. It's also made to display Document&Certificate.